Welcome to Day 27 of 30 Days of Muffin Tin Meals. I cannot tell you how excited I was to show the kids their muffin tin meals today. I found these super cute 4 cup pumpkin shaped silicone cupcake pans at the 99 Cents Only store. Score! 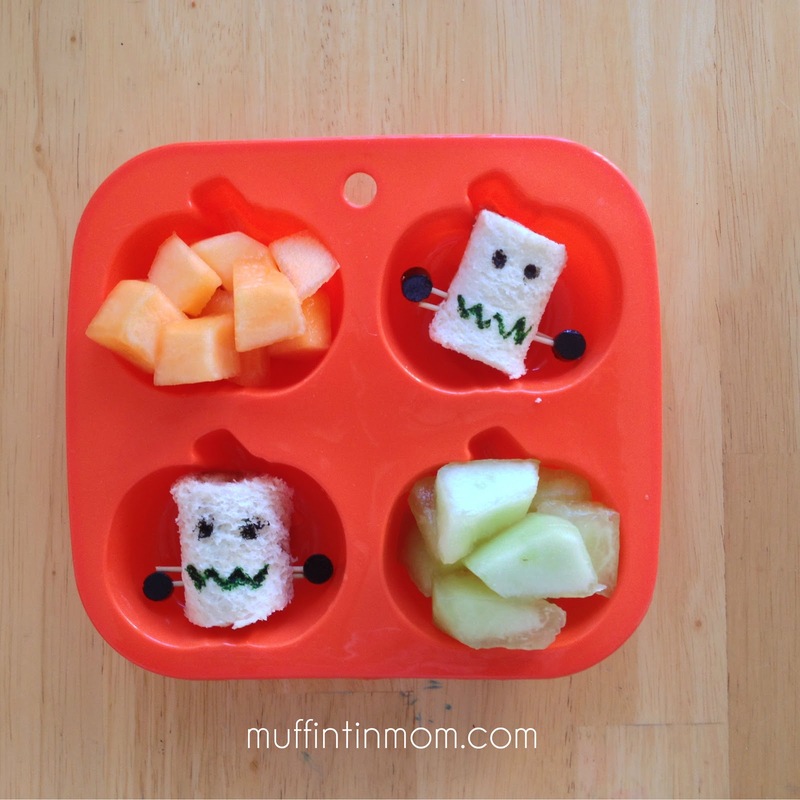 Prefect for making food cute for kids! 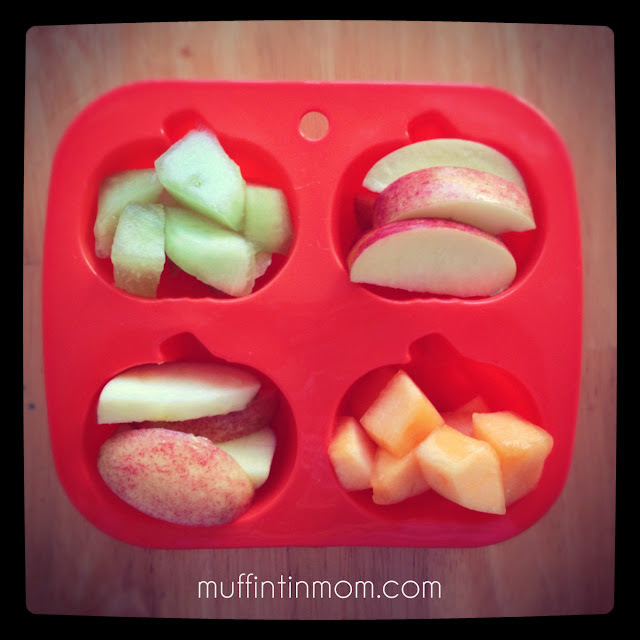 In this muffin tin snack: honeydew melon, gala apples, and cantaloupe. Muffin Tin Girl has been begging me for peanut butter and jelly sandwiches. So, I made little franken-wiches with PB and J sushi rolls, some Wilton Food Writer Edible Markers and bamboo picks. Love the sandwiches - super cute. Where can I find the food markers? Shay, you can find them at Michael's, Hobby Lobby or possibly Joann's - in the cake decorating section. They are made by Wilton. The link in the post is to Amazon. They also sell them there.